A Lean Journey: How Do You Define Quality? "Quality" means different things to different people. We use the term but the concept and vocabulary of quality is elusive. 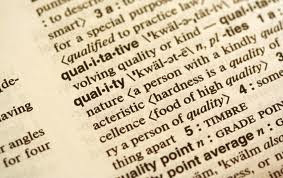 If you ask someone to define the word "quality", you may get a variety of answers. The definition of quality often depends on the stakeholders. Stakeholders are, as the name implies, people with some stake or concern in the process. In manufacturing, the definition of quality can be fairly straightforward. Products should work as intended with a minimum number of faults or failures. This concept applies to services as well as products. Manufacturing-based definitions are concerned primarily with engineering and manufacturing practices and use the universal definition of “conformance to requirements.” Requirements, or specifications, are established design, and any deviation implies a reduction in quality. In service industries, customer satisfaction is often the primary measure. A modern definition of quality derives from Juran's "fitness for intended use." This definition basically says that quality is "meeting or exceeding customer expectations." Deming states that the customer's definition of quality is the only one that matters. Excellence in quality is not necessarily in the eye of the beholder but rather in the standards set by the organization. This approach has serious weaknesses. The consumer’s perception of quality is equated with conformance and hence is internally focused. Emphasis on reliability in design and manufacturing tends to address cost reduction as the objective, and cost reduction is perceived in a limited way–invest in design and manufacturing improvement until these incremental costs equal the costs of non-quality such as rework or scrap. In manufacturing, a measure of excellence or a state of being free from defects, deficiencies, and significant variations, brought about by the strict and consistent adherence to measurable and verifiable standards to achieve uniformity of output that satisfies specific customer or user requirements. ISO 8402-1986 standard defines quality as "the totality of features and characteristics of a product or service that bears its ability to satisfy stated or implied needs." The Baldrige Criteria doesn’t mention the word quality because every activity and decision contained in the structure of the criteria must be a quality activity or decision. Under this assumption, quality is built in to the very fiber of the organization. This is the preferred way to conduct the business of the organization. Quality is important to businesses but can be quite hard to define. The meaning of quality differs depending upon circumstances and perceptions. For example, quality is a different concept when focusing on tangible products versus the perception of a quality service. The meaning of quality is also time-based or situational. Quality, as defined in ISO 9001 norm, is what an organisation defines internally to satisfy its customers needs. It talks about customer but it talks very little about the situation on the market, about organizations competitors. That is probably the reason why so many organizations that are ISO certified in the end fail, because they are living in a crystal ball and know very little about their competitors and what they are doing to win on respective markets. I think that the manufacturing definition of the quality is sufficient internally, but you must have a wider, external look at it, and on the general conditions of the products/services you're offering if you think that quality could give you some competitive advantage. Dragan, I see your point. I am not sure any single benchmark is more important than customer satisfaction. That is why I say quality is about understand your customers needs and meeting those. The company who does that the best gets the majority share of the market. I agree with Tim, I think if you want to achieve "quality", you have to focus on your customers needs. 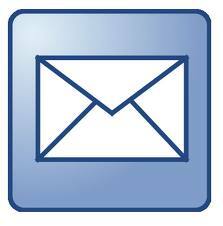 If you know how to read your customers needs, you are understanding what is happening in the market/competitors. 1. A characteristic of a product or service that bears on its ability to satisfy and exceed stated or implied customer needs, and thereby provide customer satisfaction. Let me share with you my investigation and thoughts about this concepts; I would love to ave your thoughts on my post. I like that. "FREEDOM FROM DEFICIENCIES". I appreciate and agree with Tim's comment that the Baldrige Criteria doesn't mention the word quality in because it is built into the very fiber of the organization. So true. I like Jimena's comments related to quality as understanding and knowing our customer's needs. Refering to the Baldrige Criteria - Category 3 (Customer Focus)provides questions related to knowing our customer's. I have a question from this. My question references Ian Wedgewood's book Lean Sigma, A Practitioner's Guide. Would the Lean Six Sigma tool “Customer Interviewing” such as noted in Wedgewood's book be a tool to satisfy or achieve positive results under Category 3 of Baldrige? In the book, it also discusses "Customer Interviewing" as a method to be the primary means to collect qualitative Voice of the Customer(VOC)information during a Lean Sigma project. Also, the book refers to a “Customer Requirement Tree.” They also mention customer surveys? These appear to all be good Lean Sigma tools to apply to Baldrige Criteria 3 (Customer Focus). Any help or correction would be appreciated? Are their better tools? I’d just like to get a little help understand ing if these three Lean Sigma tools are key to meeting the Category 3 requirements and if anyone out there has used any of these. Great post! I see this problem all the time as well. Leaders expect answer to pop out of the tools and processes without them having to provide any insight. Your example of multivariate regression is a good one. You can super crunch giant data sets to find relationships, but someone with business knowledge needs to figure out if those relationships make sense and if they are actionable. I often tell leaders that the data itself is not the story. The story is what is happening in the business, the data simply supports it. I like the definition of quality as lack of waste. Waste is any cost that is incurred because the product or service was not done correctly the first time. If you accept this definition, almost all of the other attempts to define quality become factors or elements of the definition. There are two components of waste, that which is experienced by the producer and that which is experienced by the user or consumer. A product that costs more to produce than it can be marketed for is a waste since it will probably not sell. A product that does not satisfy the clients needs will force the client to expend extra effort to meet those needs which is waste. The units of quality are thus monetary which should be easier to bring to management's attention than most of the other definitions out there. Nice addition Thomas. This is a good way to look at it but to understand waste you also need to understand value. Many focus on waste because that primary benefits the producer. This can't be ignored but foremost we must add value to the customer. This is about meeting and exceeding expectations (those defined and those not). Also, I would say quality's measure is not only monetary but also delivery. The customer wants the right product at the right time in the right quantity at the right price to perform precisely in the right way. That is why I say "Quality" means different things to different people. But as Deming states the customer's definition of quality is the only one that matters.